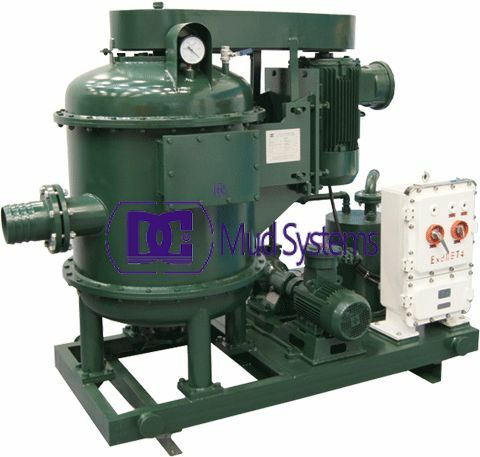 Horizontal sand pump is an important equipment in oil rig mud cycling system. Sand pump is a kind of centrifugal pump .DC produce the pump with reliability 、 heat-resistant 、large flow 、long life 、low- energy consumption 、easy maintenance and other advantages. The horizontal sand pump adopts the axial suction structure, horizontal or vertical structure, composed of a motor, a pump seat, a pump shell, an impeller etc., using shear coupling (horizontal pump) or plum coupling (vertical) connection, mechanical or combined sealing structure, the main vice impeller combination. After the centrifugal pump started, the pump shaft drive impeller together to do high speed rotation, forced beforehand filling between the blades liquid rotation, under the function of inertia centrifugal, liquid does a radial motion from the impeller center to peripheral. Liquid won energy in the process of flow to impeller movement, static pressure energy increases, velocity increased. After liquid depart from impeller to enter into pump casing. An oilfield solids control system needs many centrifugal pumps to sit on mud tanks. The pumps are generally used to transfer drilling mud to make it circulate through tank system. 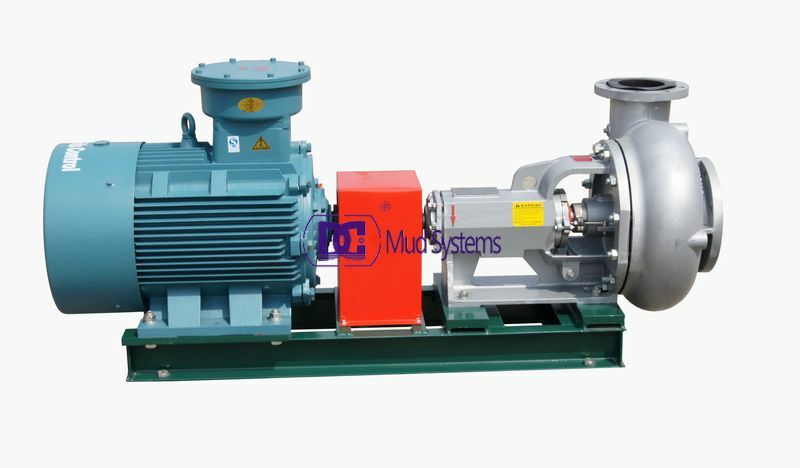 According to mud feeding and drilling flow locations we name the centrifugal pump as feeding pump for desander / desilter or mud cleaner, mixing pump for jet mud mixer, trip pump for trip tank and supercharging pump for rig mud pump. The word “ decanting means pouring of liquid so slowly that any sediment in the bottom remains undisturbed. “ G” force: G=(RPM)2 (0.0000142) (Diameter of bowl, in ). 1. The G’ exerted on the fluid. 2. The retention time of the fluid in the centrifuge. The rate at witch a particle will settle is directly proportional to the force of gravity , the square of its diameter and the difference in density between liquid and the medium in which it is settling. It is also indirectly proportional to the viscosity of the liquid. In weighted mud, the application of centrifuges is some what different. In general, two centrifuges are used. One unit is used to remove the weight materials and the second one is used to remove drilled solids. The clean mud is then returned to the achieved system where it is re- united with the recovered weight materials. 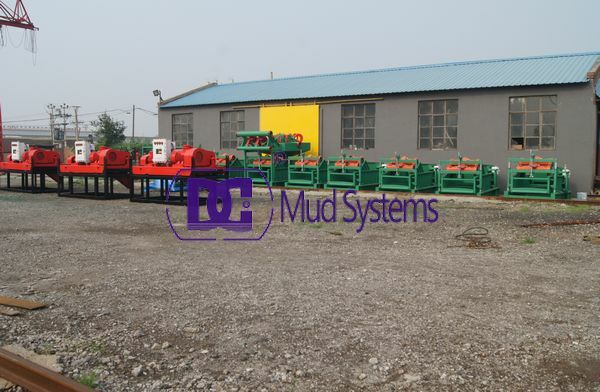 The continuous liner motion shale shaker system engineered for optimal solids removal .Drilling fluid shale shaker is the primary processing equipment in solids control system, used for separating larger cuttings from drilling mud, and it plays an important role in protecting drilling fluid performance. Improved screen efficiency and screen LIFE. 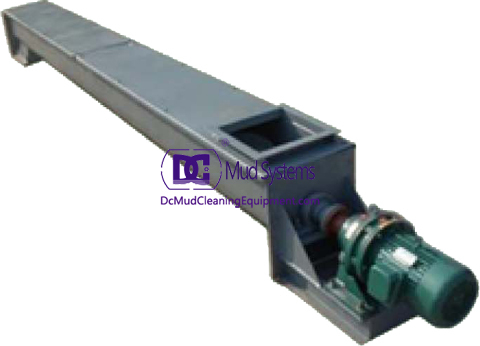 Maximum flow rate of a screen is directly related to the open area that mud can FLOW THROUGH and the open area that mud can flow through and wire thickness. Two screens with the same openings and with different wire dimension will have different flow CAPACITIES. The screen with the smaller wire diameter will have a greater flow capacity and also a shorter LIFE. 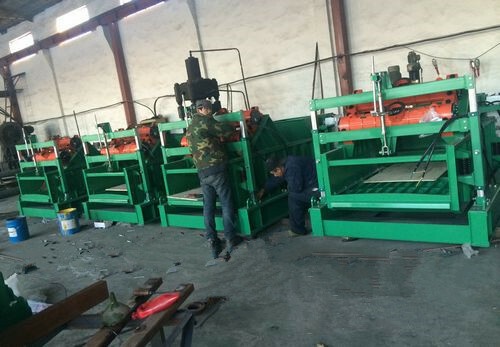 selection of best screen depends on money , conditions of hole , mud dilution , drilling time and amount of solids in mud. We use cut point for SCREENS. The phase “d50 cut point is 69 microns “ means that 50% of the 69 microns particles will be rejected and 50 % will pass through the screen or “16d cut point is 49 microns “ means that 16% of the 49 microns particles will be rejected and 84% will pass through the screen . Due to the reduced open area from the increase wire diameters, the screen nominal opening must be increased to maintain sufficient capacity . these relatively coarser screens cause solids to increase in the mud system . So, dilution requirement s and mud cost will increase. Shale shakers are components of separation equipment used in many industries, such as coal cleaning, mining, oil and gas drilling. They are the first phase of a solids control system on a drilling rig, and are used to remove large solids (cuttings) from the drilling fluid. Following the severe environment requirements and mud cost limitation, more and more drill site start to use shale shaker to separate the solid phase which decides performance of the whole solids control system. 1. G-forces linear motion up to 7.4 G(adjustable depending on the situation). 2. Greater drilling fluid treating capacity. 4. Enhances cuttings processing volume. 5. AWD device from -1°~5°. 6.Wedge shaker screens fixed system to easily change the screens. 7. Hook-strip screens can be PMD and PWP screens. DCS series linear motion shale shaker absorbed advanced tech at home and abroad ,and integrated DC own design. DC complete series shale shaker can meet customers’ variable demand. 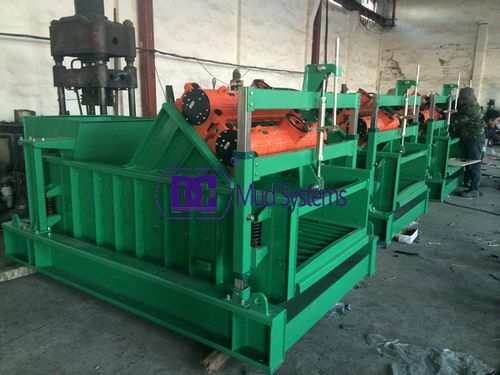 Besides, we not only can provide featured shale shakers, but also can design all kinds of other solid control unit( desander, desilter, vacuum degasser, decanter centrifuge, centrifugal pump, agitator, mud tank and ect). If you want to learn more about it, please contact us. A mud tank is a large storage container used to hold reserves of drilling fluid, also known as drilling mud, for a drill rig. Typically made of square steel tube and steel plate, to store drilling fluid on a drilling rig. They are also called mud pits, because they used to be nothing more than pits dug out of the earth. The body of the mud tank is made by welding the steel plate and section, using the smooth cone-shape structure or the corrugated structure. 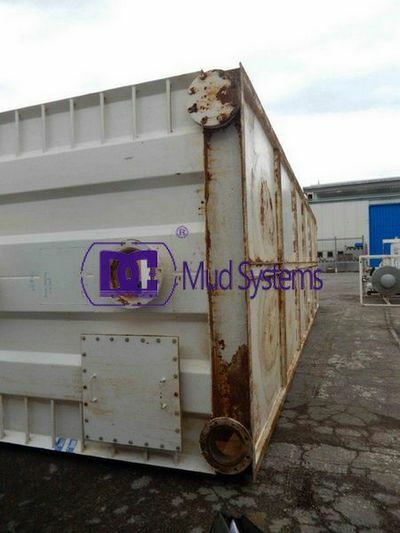 The mud tank surface and passages are made of slip resistant steel plate and expanded steel plate. The mud tanks are made of the side steel pipe, all of the structure can be folded without barrier and pegged reliably. The surface of the tank is equipped with a water pipeline for cleaning the surface and equipment on the tank, it uses soaked zinc processing for the expanded steel plate. The ladder is made of channel steel to take responsibility the body, the foot board is made of expanded steel plate. The number of the mud tanks that are needed on the drilling rig depends on the depth of the well, and also the mud demands of drilling. Nomally the shale shaker and vacuum degasser and desander are mounted together on the same mud tank as the first tank at the oilfield, while desilter and centrifuge on the second tank. Also the drilling rig has other different tank as reserve tank,emergency tank, etc. DC Machinery offers prospective buyers and extensive selection of quality new oil & gas drilling equipment, including mud tanks to choose from at competitive prices. Browse our inventory of drilling mud tanks and oilfield tanks for sale at competitive rates. 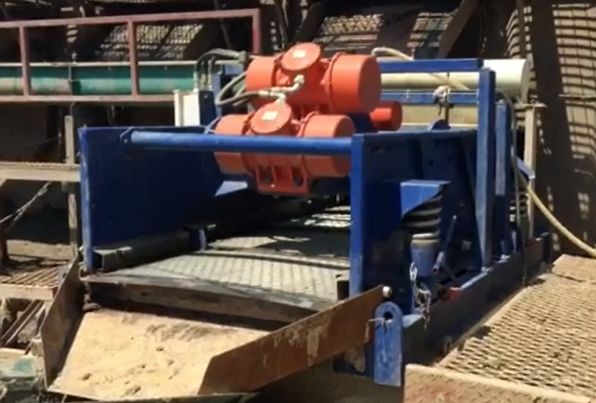 The first step in separating the cuttings from the mud involves circulating the mixture of mud and cuttings over vibrating screens called shale shakers. The liquid mud passes through the screens and is recirculated back to the mud tanks from which mud is withdrawn for pumping downhole. The drill cuttings remain on top of the shale shaker screens; the vibratory action of the shakers moves the cuttings down the screen and off the end of the shakers to a point where they can be collected and stored in a tank or pit for further treatment or management. Often two series of shale shakers are used. 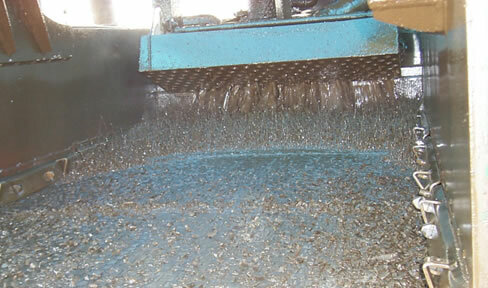 The first series (primary shakers) use coarse screens to remove only the larger cuttings. The second series (secondary shakers) use fine mesh screens to remove much smaller particles. In general, the separated drill cuttings are coated with a large quantity of drilling mud roughly equal in volume to the cuttings. Additional mechanical processing is often used in the mud pit system to further remove as many fine solids as possible because these particles tend to interfere with drilling performance. This mechanical equipment usually belongs to one of three types: 1) hydrocyclone-type desilters and desanders, 2) mud cleaners (hydrocyclone discharging on a fine screened shaker), and 3) rotary bowl decanting centrifuges. The separated fine solids are combined with the larger drill cuttings removed by the shale shakers. 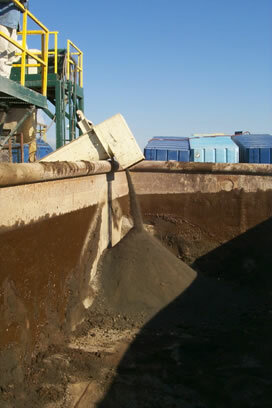 If the solids collected by the shale shakers are still coated with so much mud that they are unsuitable for the next reuse or disposal step or if the used mud is valuable enough to collect as much of it as possible, the solids can be further treated with drying shakers utilizing high gravitational separation, vertical or horizontal rotary cuttings dryers, screw-type squeeze presses, or centrifuges. The cuttings dryers recover additional mud and produce dry, powdery cuttings. Vacuum degasser is a degassing equipment in solid control system, it plats the important role during the drilling period. It is the key part of guarantee drilling site safe. 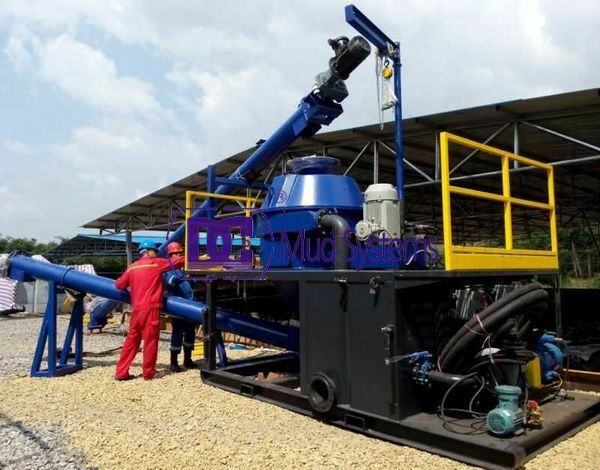 As such, vacuum degasser process all of the drilling mud from the flow line before the mud reaches the primary shale shakers. The units have no moving parts and rely on the density difference between the gas and the mud for removal. The process is simple, yet very effective for well drilling fluids processing system. The vacuum degasser has self-suction function, so it doesn’t need the extra transfer pump to feed the mud. After the impurities been removed, the working efficiencies of subsequent centrifugal pump for desander and deilter would be greatly increased. These units are positioned downstream from mud gas separators, removal equipments (if utilized), shale shakers and mud conditioners (if utilized), while hydrocyclone desander and Decanting centrifuges follow in the arrangement. sale, sale and after-sale technical services. DC Solid control’s performance-based solids and fluids control systems, closed loop mud systems and remediation services are all delivered with best-in-class design and efficiency. And to make these integrated waste management solutions complete, they always include planning, assistance and on-site equipment deployment and management. DC Solid control provides mud conditioners in standard and low profile arrangements. 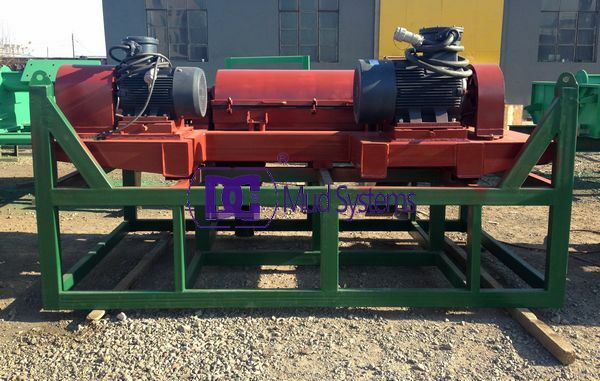 Each unit comes with 2-10” and 20-4” hydrocyclones, and each provides maximum economies through reduction of solid waste and increased drilling fluid recovery. DC Solid control inventories high-speed and high-volume decanting centrifuges for solids removal, dewatering and barite recovery applications. Our units can come with Variable Speed Driven (VSD) motors that optimize the performance of the bowl speed for finer separation of ultra-fine solids from the drilling mud. You are welcome to contact Tangshan Dachuan Machinery to get more detailed infos, we will supply our best service for you. How to works of drilling waste management system. The drilling rigs use drilling mud (high density drilling fluid) to pack to drill column. The drilling mud is a mix of chemicals but there are three basic types; water based, diesel based, and synthetic oil based. The DCTLL vertical cutting dryer unit is almost always used on synthetic oil based drilling mud or diesel based mud. Synthetic oil based drilling mud is the most common type to be used in the offshore rigs. Operates use the drilling mud to pack the column so that no gas escapes during the drilling process as well as to transport the solids being removed and to lubricate the drill bit. The whole system has a fluid cycle that is run by the drilling mud pumps. The mud pumps keep a circulation flow down into the hole and back up with the solids from the drilling process. Typical drilling applications are listed by hole size and drill rates. That info would be part of a drilling solid waste management system. 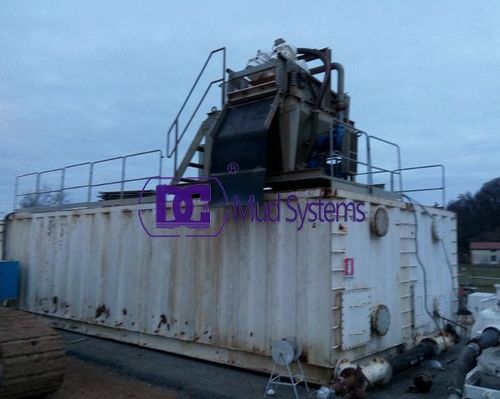 The Solid Waste Management system would almost always include 3 panel shaker screens a cuttings dryer, two mid size decanter centrifuges, and related pumps and containers. The feed from the mud pumps would go over the shaker screens and be concentrated to 50-75% solids by mass and then fed to a vertical cutting. The underflow from the unit would go to the decanter and be mixed with the underflow from the screens. A small portion of the decanter centrate is typically recycled into the unit feed to keep the material flowing and keep the screen openings flushed.